You are welcome to bring your own models for afternoon injectables session. If you don't have a model, they will be provided. $300 charge applies. Therapeutic BOTOX® is quickly becoming an increasingly lucrative procedure for dental professionals. 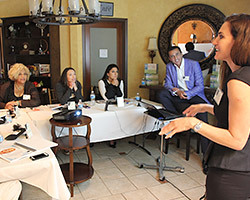 This professional training program serves as an in-depth introduction to the advanced skills and knowledge necessary to safely and successfully administer therapeutic BOTOX®. From head and neck anatomy to important injection techniques, you will walk out of this course confident in your abilities to offe therapeutic BOTOX® to your patient in order to relieve many symptoms including headaches, bruxism, and teeth grinding. In depth instruction regarding the anatomy, muscles, and nerves of the face, head, and neck. Utilize different Therapeutic BOTOX® injection techniques to optimize your injection results. Effectively administer BOTOX® for various therapeutic purposes including, but not limited to the treatment of migraines, locked jaw, and TMJ. Safely administer Therapeutic BOTOX® while avoiding any risks or adverse outcomes, as well as learning how to treat them if they do occur. Live patient training including comprehensive diagnosis, treatment planning, proper dosing and delivery of Botox. Didactic: Dr. Solomon, DDS will lecture with slide show presentation. Clinical: Trainees will inject models under Dr. Solomon, DDS’s direct supervision and guidance. Professional Licensing and State Board Requirements: FACE assumes no liability in terms to medical or dental state board requirements. Students need to know whether they are able to perform the procedures taught in our FACE courses in their own practices. FACE is not liable for any changes made by state medical/dental board about their state practice acts prior to or after FACE courses. It is the responsibility of each practitioner to treat patients within their training, scope of practice, and experience and to ensure patients under their care are treated appropriately. Healthcare professionals attending FACE courses must use their own professional judgment, and perform the full standard of care in treating their patients, including but not limited to obtaining a medical history, examination, diagnosis, and treatment plan. Facial Academy of Cosmetic Esthetics assumes no responsibility for patient care and provides no specific medical, dental, or legal advice. Attendees must provide proof of professional license and current malpractice insurance to attend an FACE course. FACE is not to be held responsible if a participant is refused coverage by an insurer for any reason or is unable to obtain materials for use in practice. California dentists may use pharmacological agents such as Botox only in conjunction with a bona fide dental treatment plan in accordance with Business and Professions Code section 1625 and that any cosmetic benefit from Botox use is simply a side-effect of the therapeutic qualities. All hands-on training involving Botox on live models/patients must be performed in conjunction with a bona fide dental treatment plan in accordance with Business and Professions Code section 1625. At the course, attendees shall be required to provide written confirmation to FACE that they have performed an appropriate dental examination and history on the model/patient and that the Botox is part of a bona fide dental treatment plan in accordance with Business and Professions Code section 1625 FACE will have all the necessary health history, diagnosis, and treatment forms at the course in order to comply with the above requirements. Get updates on our courses. © 2016 FACE - Facial Academy of Cosmetics & Esthetics. All rights reserved.